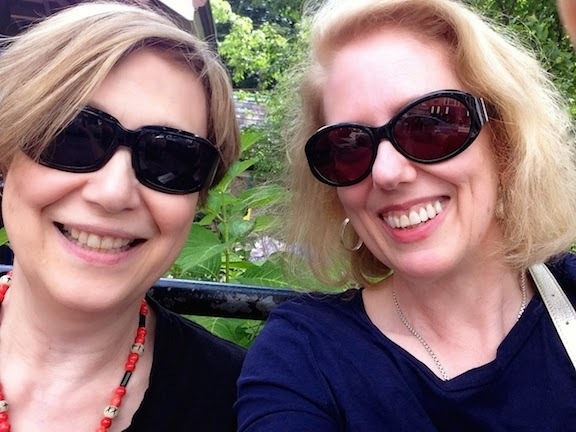 Since we Nerdy History Girls are so nerdy about the Georgian era, certain names are as familiar to us as current celebrities are to normal people. One of our historical celebrities is Thomas Rowlandson, who often illustrates our posts. This short clip gives a little summary of early 19th century England politics & scandal, with Rowlandson providing the show & tell and the wonderful Brian Blessed narrating. 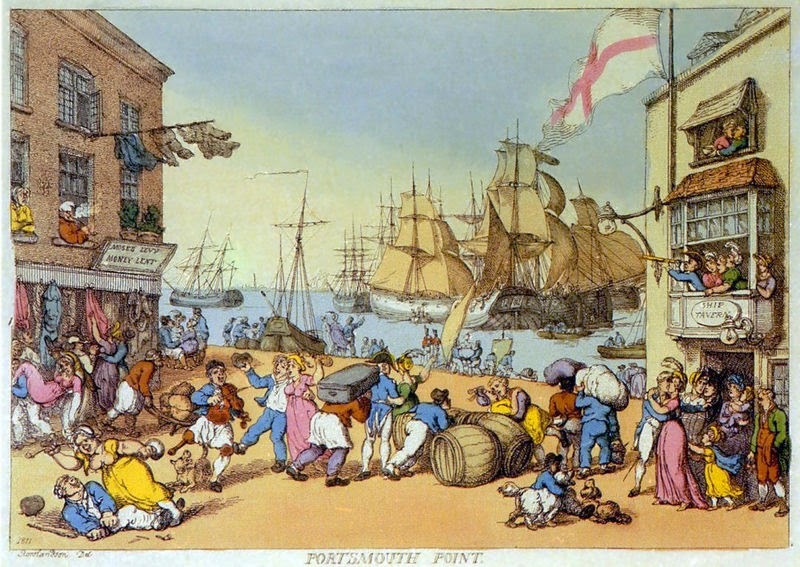 Image: Thomas Rowlandson, Portsmouth Point, courtesy Wikipedia. Clicking on the caption will take you to the source of the image, where you can enlarge it. Linked to the exhibition, Kate Heard (Curator or Prints and Drawings at the Royal Collection Trust) has brought out a splendid book entitled "High Spirits - the comic art of Thomas Rowlandson". It really is a joy! I recommend it to anyone who enjoys Rowlandson's take on fashion, politics, greed and lust! Mike, thank you! I must add this to my 2NHG library collection.